Professor Elain Vlok, Manager of Corporate services at Clover and founder of their social responsibility project is not a new face on the front row of recognition. She is a role model and a main player of change that has been recognized on numerous award stages. Clover Mama Afrika is Clover’s flagship Corporate Social Investment (CSI) initiative that started in 2004. The project is based on a simple concept – to empower community caregivers with viable skills, which they in turn pass on to others, in order to earn a sustainable income and better service their community. 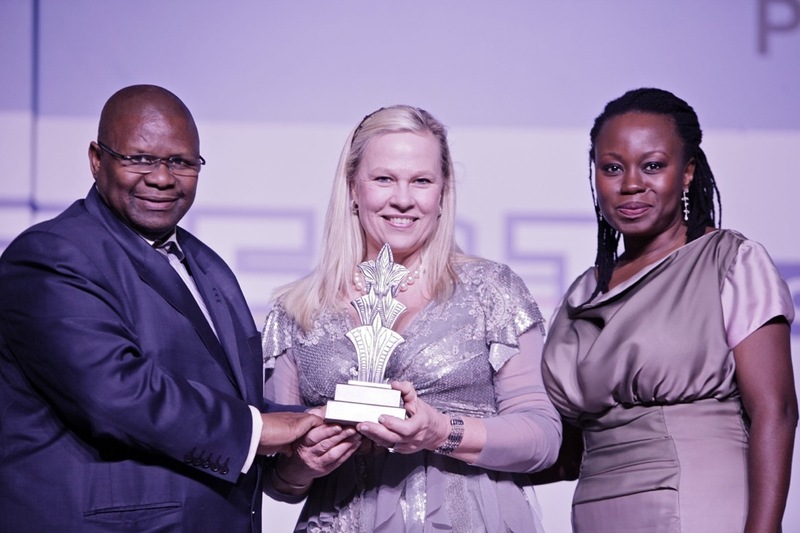 Clover Mama Afrika has yet again been recognized for her contribution to the South African society at the North West University’s (NWU) third annual Alumni Awards ceremony held in Sandton on Friday, 9 October 2015. The 2015 recipients follow in the illustrious footsteps of great alumni previously honoured with these awards such as the late Prof TT Cloete, Mr FW de Klerk, Judge Yvonne Mokgoroe, Dr Bismark Tyobeka, the late Adv Jan Henning, Prof Pieter Stoker and Mr Alec Moemi among others. “Through their many accomplishments and acts of service, these outstanding alumni have made the NWU and South Africa proud. Their achievements are just one of the ways of showcasing the excellence of the NWU. We are proud to boast such a distinguished stakeholder group,” said Prof Dan Kgwadi, vice-chancellor of the university. Visit HERE for more information on Clover Mama Afrika.